Give back to the community and have a great time at the best Casino Night in town! This amazing night includes: Vegas casino games, a fun DJ, dancing, delicious food, raffle prizes and a fantastic silent auction. Proceeds from the event benefit women and children groups in our community. 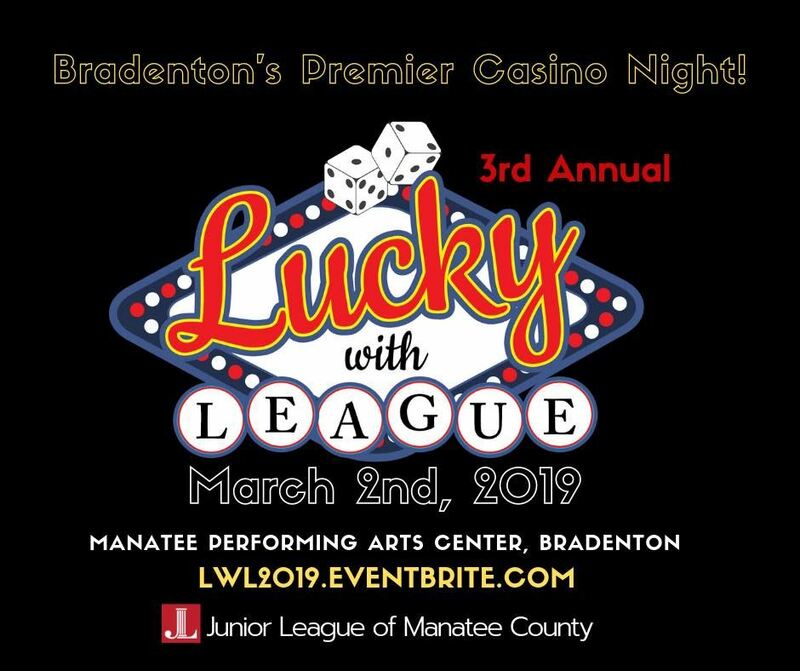 Lucky with League will be upstairs in the Manatee Performing Arts Center in Kiwanis Hall.